I still can't make up my mind whether to finish this as a street racer on the current 'steel wheels' or make a JACCS racing Civic out of it. First Tamiya with pre-cut arches? I think those wheels work very well to give the scale look. Nice wheels! What are they? Never seen em before! And what tyres? Keep it this way, its really special. 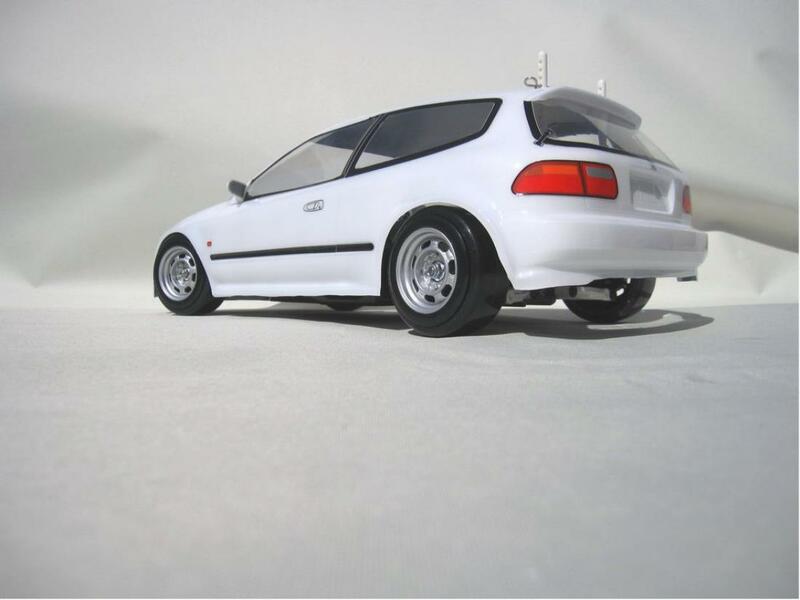 Wheels are Street Jam Tatsujin from RC Race and Drift with Tamiya drift tyres. Completely unsuitable for the fwd FF-01 chassis.Beware that the wheels are not really suitable for rubber tyres since they have a large black collar on the outside of the steel rim. 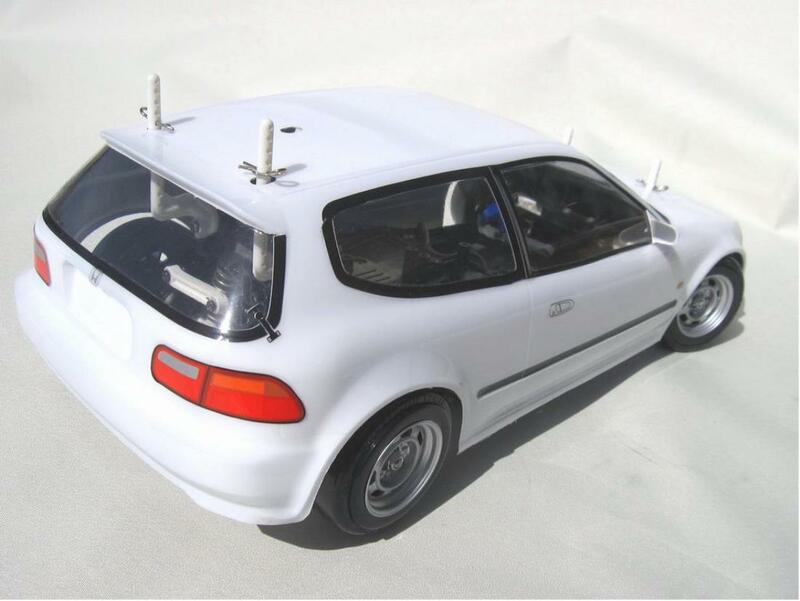 Actually the body posts are part of the 49574 Tamiya FF white suspension arms option, so they're moulded in white plastic. Hi Steffen, is this a HPI body or from which company did you source it? 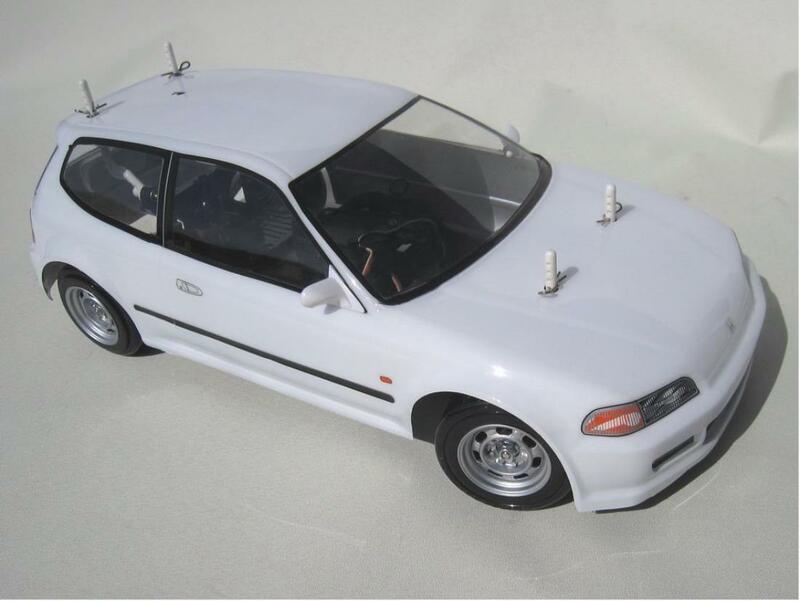 It's Tamiya's own body as used on the FF-01 and FF-03, Castrol or JACCS liveries. 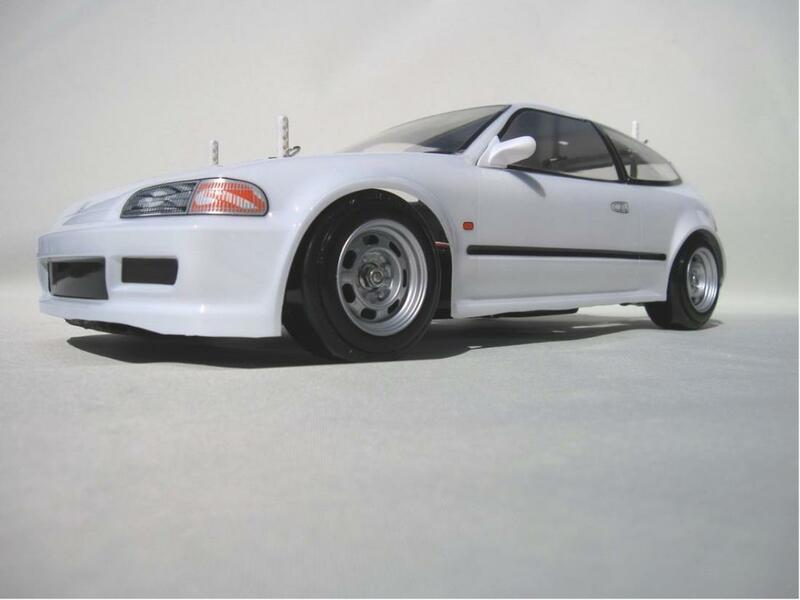 The HPI body is M-chassis size (or the HPI True Ten Cup Racer size). I think it looks awesome, only thing I would do differently is get some micron tape and do the shutlines and roof sills. Looks fantastic! Cool and very scale...it's understated 'normal' look does it for me so I say keep it as is. 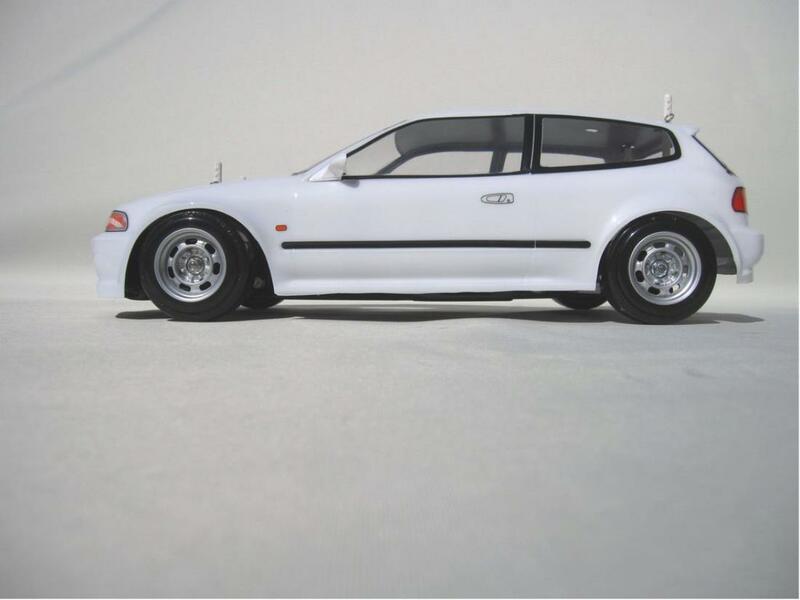 Your sleeper Civic looks ace Steffen! I have a few sets of these rims on my drifters and those look like the 3mm offset option. Silver is accurate and as berman already suggested - 0.3 micron tape will finish it off purrrfectly! I agree with berman, needs some little panel line details, a FINE Sharpie marker could do it as well. I think the steel colored steelies look good, don't know if white would be too much white unless they were absolutely sterile white and there was no shadowing to help give them depth. I am about to get some paintwork done for my FF01 chassis so I can call it done. Thanks for all your comments, lazy me needs to get busy with the black detailing tape The roof sill stripes come with the body but I forgot to add them because I was gonna make it into an Idemitsu Mugen body.